After switching from a Samsung 19" lcd monitor to an HP 24" monitor I had to start searching for high definition wallpaper websites that would support a monitor resolution of 1920x1200. One good side effect of high resolution wallpapers is that they are also suitable for lower resolution monitors by simply resizing them to the monitor resolution. The Internet literally contains thousands of wallpaper sites, most of them crappy and ad infested. The following sites have only a few ads - if any - and provide a good selection of at least a few hundreds high definition wallpapers. Most websites in the list offer multiple resolutions and should provide wallpapers for barely any monitor resolutions. If you know of a great website that should be in the list let everyone know in the comments. 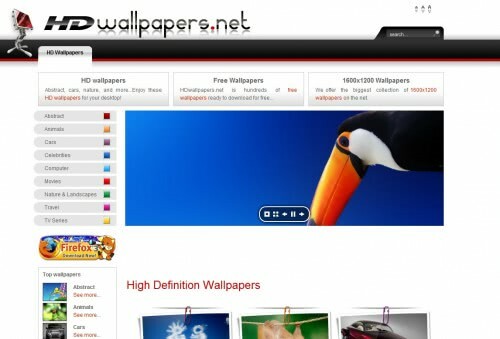 Categorizes wallpapers by size and provides multiple sizes for all wallpapers. The only foreign (that is non English) site of this list. Offers many high definition wallpapers with many unusual sizes such as 1600x3200. Offers probably the largest selection of hdtv and widescreen wallpapers powered by the sheer size of the Deviant art user base. 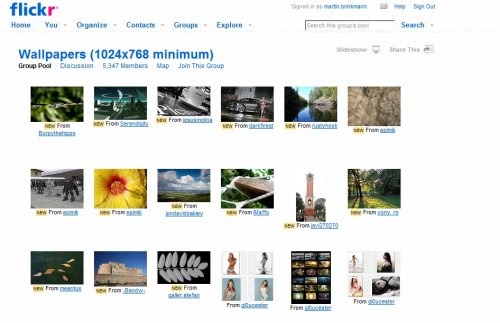 The Flickr Wallpaper pool contains thousands of wallpaper images with a minimum size of 1024x768 but most higher than that. The choice is great but the wallpapers lack information on the preview pages. One needs to click through individual wallpapers to check the supported screen resolutions. The majority of the content of hd desktop wallpapers are celebrity wallpapers who make up more than 80% of all wallpapers. Wallpapers come in all possible resolutions and it is quite hard to find HD wallpapers on the site. Seems a bit deserted as well. All wallpapers are available in 1600x1200 format only. 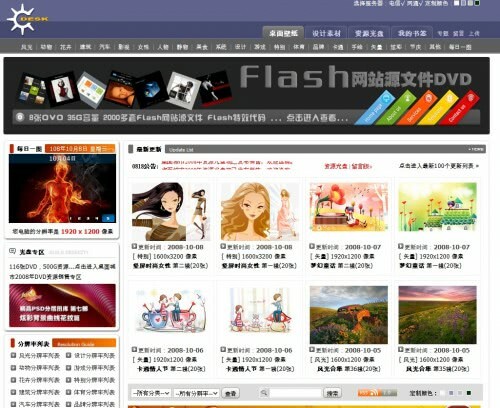 Site offers nine categories like cars, celebrities and tv shows. Provides access to more than 1600 HD wallpapers that are supplied in various sizes up to 2560x1600. 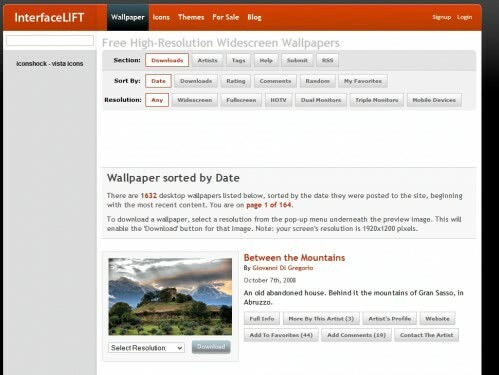 Offers various ways to browse wallpapers, for example by tags or artist. Thousands of hd wallpapers in various categories like celebrities, abstract and computer generated. Site provides access to various sizes for each wallpaper and offers a 2560x1600 category that contains 199 wallpapers. 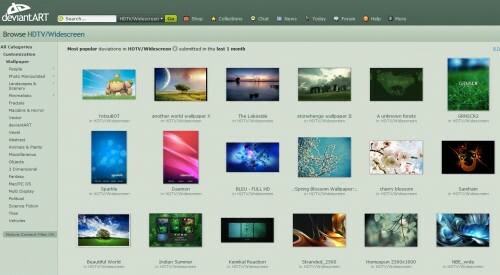 Lists all available wallpaper resolutions on the main page which is a refreshing change. Uses tags to categorize wallpapers. Wallpaper sizes up to 2560x1600. A blog style wallpaper site that is rather hard to navigate because of this but contains more information about each wallpaper which is a refreshing change. Wallpapers are tagged properly and the tag cloud provides a good way of navigating the site. Many different wallpaper categories, even one about the 2008 US election. Sizes up to 2560x1600. Just not this one! 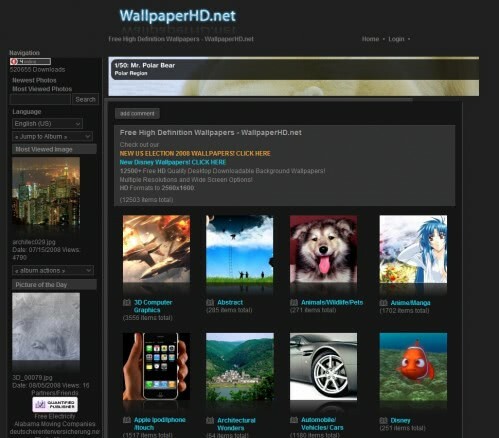 But there is something new like wallpaperhighd.com – there is no comunity so far, but you can find a lot hd wallpapers, i think not bad for a site which is just month old! Wow, this will save me some time. Thanks! I usually use Google Images search, set to Extra Large, in my pursuit of Ubuntu wallpaper. Here is one more… it is 3d rendered wallpapers but almost all of them go up to 2560×1600 and HD resolution. nice list – maybe i need to up the resolution on mine. http://www.openwallpapers.com is excellent site compare to any others! stumbled across http://images.gonzb.com tons of wallpapers an no freaky ad popup etc. It has HD quality walls. Some of these are mediocre. I don’t see http://www.Wallpapers-room.com ….. why is that ??? Good sites. 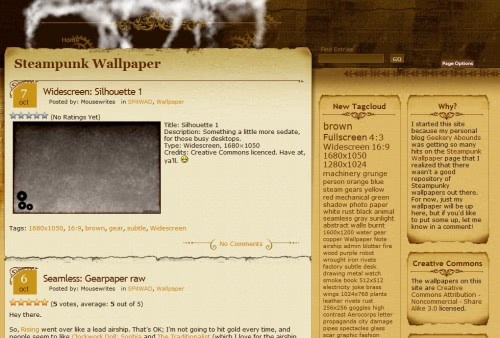 I too want create my wallpapers site. This is also a pretty cool site that’s easy to use: http://www.backgroundbandit.com and it also has several sizes of wallpapers including HD sizes. Well My blog has true high definition Wallpapers of all the time. Taken from hidden areas of the Internet. I love the design and wallpapers there! Классная сборка сайтов. Много полезного. Full HD Wallpapers and 1080p HDTV Wallpapers are available in this site. I was wondering if there was a way to “thumbs up” a submission? I always visit “interfacelift.com”, but when I saw it on your list, I wanted to give my vote for it, but don’t see a way to do so. Oh, they’re cool, I love wallpaper, it makes the desktop looks less boring. Just HD resolution wallpapers and if you want to download one, the wallpaper will automatically resized for your screen. Awesome! Nice, but have you thought to update this article or maybe make a new one with ultra HD wallpaper sites? It’s amazing list of wallpapers – this one is also in high quality wallpaper http://www.dailybackgrounds.com which is updated on daily basis. I search on internet use Google Search Engine Top ten most expensive mobile in 2015 wallpapers. So Find a very good and awesome wallpapers site http://www.gamedownloadblog.com/category/wallpapers/ This site provide very informative Wallpapers with best result.